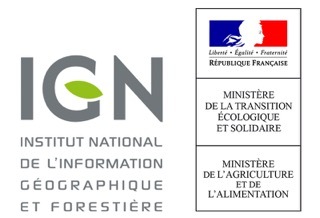 The NFI publishes every year a memento of the most important data about the French forest. This inventory report contains tables and graphics describing the current woodland extent, structure, composition, condition and biodiversity, as well as wood stock, annual forest increment and repartition maps of specific species. Field measurements are made every year, in the whole country, from November year n-1 to October of the next year (year n), on approximately 7000 inventory plots located into forests with, among others, wood production purpose. The documents of the last few years are available in French below.